In an article published by the publication Utility Dive, author Herman Trabish discusses nuances, challenges and opportunities for the Next Generation Solar Incentive program in Massachusetts. Please click on the following link for a copy of the Utility Dive article. New Model tariff for solar incentives. 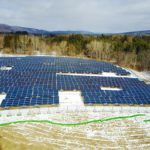 On December 15, 2016, the Massachusetts Department of Energy Resources (“DOER”) presented an update on the Next Generation Solar Incentive Program to a large group of industry stakeholders. DOER anticipates implementation of a new solar incentive program in mid 2017. Please click on the following link for a copy of the DOER presentation. solar-program-stakeholder-meeting-7-121516. 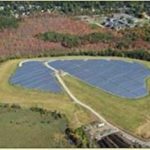 Beacon congratulates the Towns of Needham and Williamstown on their outstanding efforts implementing environmentally-sustainable solutions through solar energy generation. 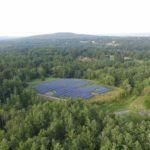 We are proud to have supported municipalities with their important solar photovoltaic projects including the following Cities and Towns: Ashland, Easton, Needham, Weston, Duxbury, Lenox, Lee, Northampton, Pittsfield, Stockbridge and Sturbridge.